• Heat oven to 425 F degrees. • Place potatoes in a small pot and cover completely with generously salted water. • Bring to boil and reduce to simmer. • Cook the potatoes for 20 minutes, or until fork-tender. 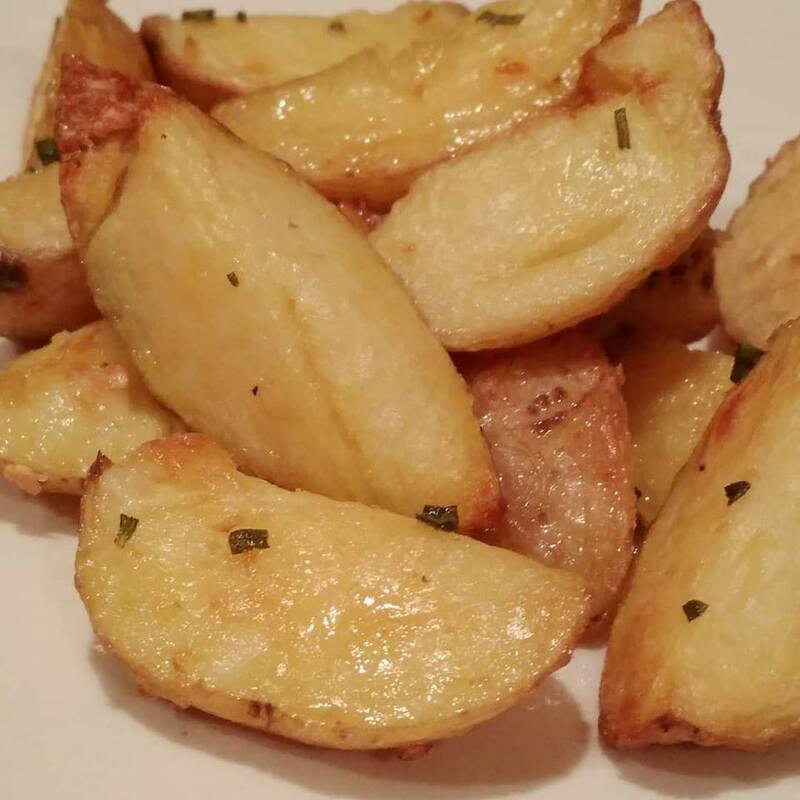 • When cool enough to handle, put the potatoes on a small rimmed baking sheet or pan. • Drizzle with duck fat and add rosemary and garlic to pan. • Roast potatoes for 20 minutes. Flip them, then roast an additional 8 to 10 minutes.